Made by Zachariah Boyle. 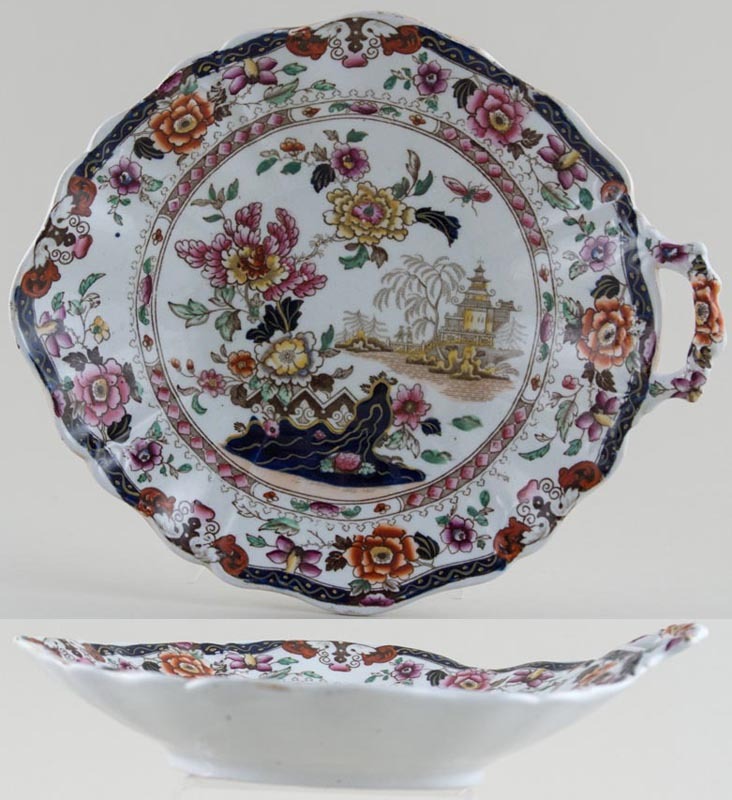 An extremely attractive ornate dish with side handle and wavy moulded rim. Backstamp: Chinese Flora and in script 165 12. A little surface scratching and minor wear otherwise excellent condition.